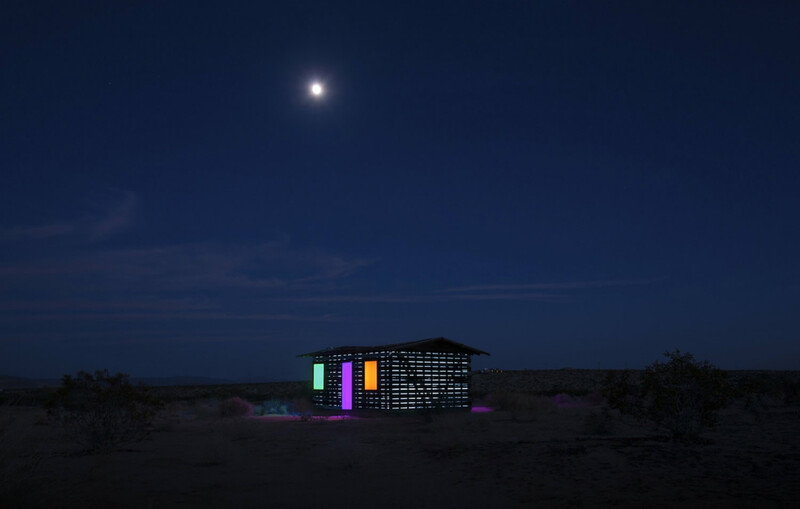 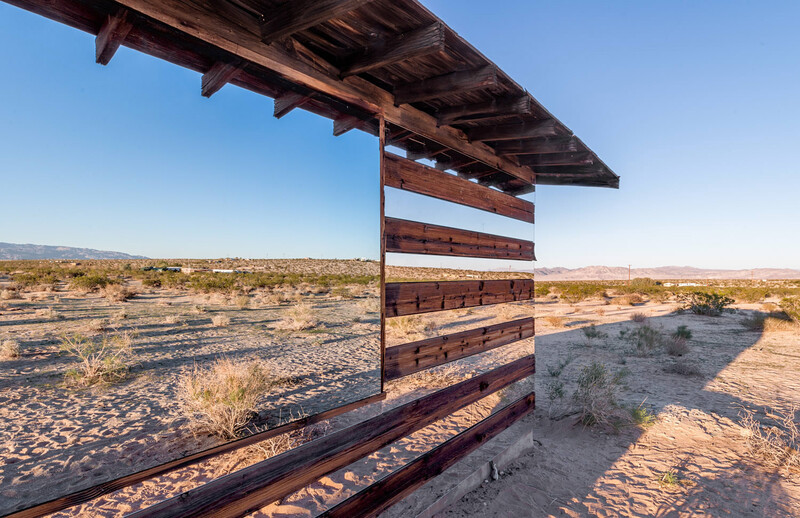 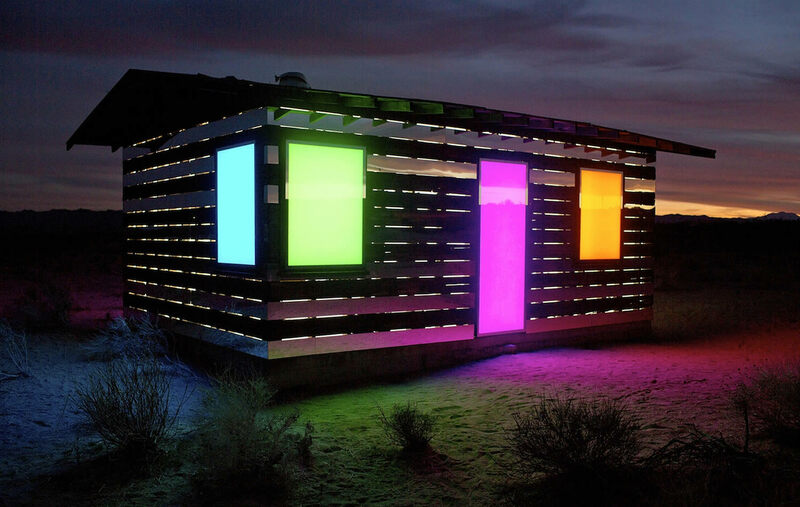 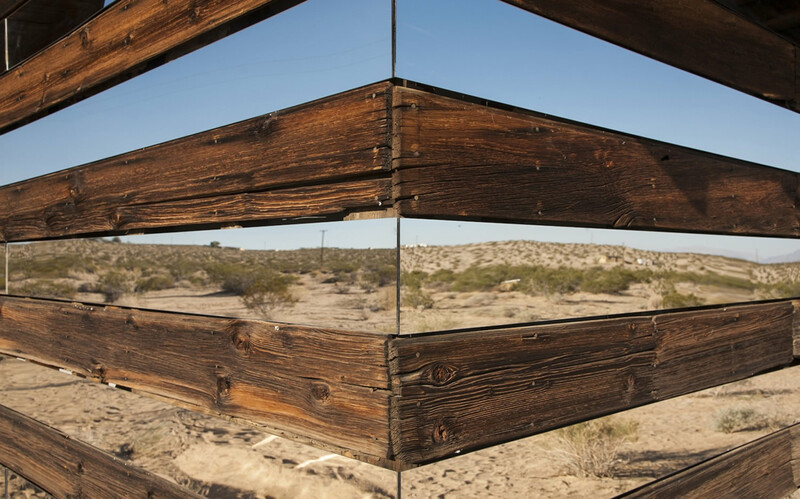 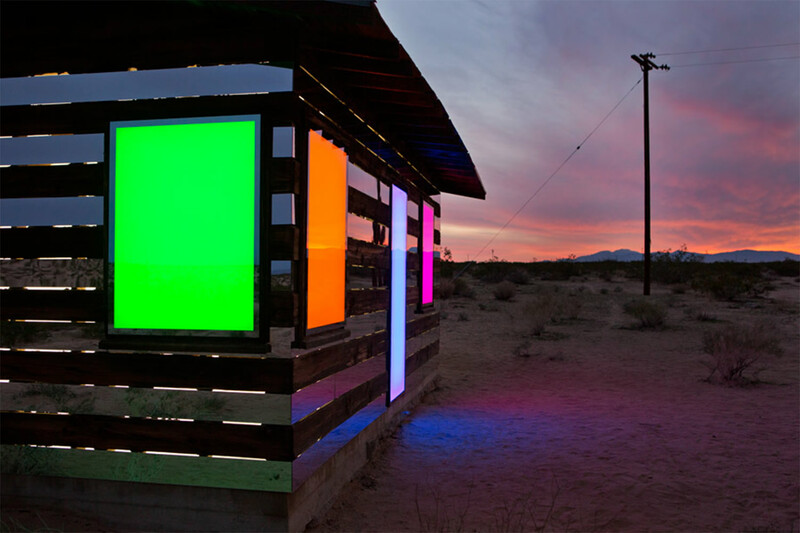 American artist Phillip K. Smith III has made use of a 70 year old shack for an art installation he calls “Lucid Stead.” Placing mirrors on the outside walls and LED lighting on the inside—it is a magical spectacle during the day when the Joshua Tree landscape reflects on the surfaces, and at night the cabin colorfully lights up like a Mondrian painting. 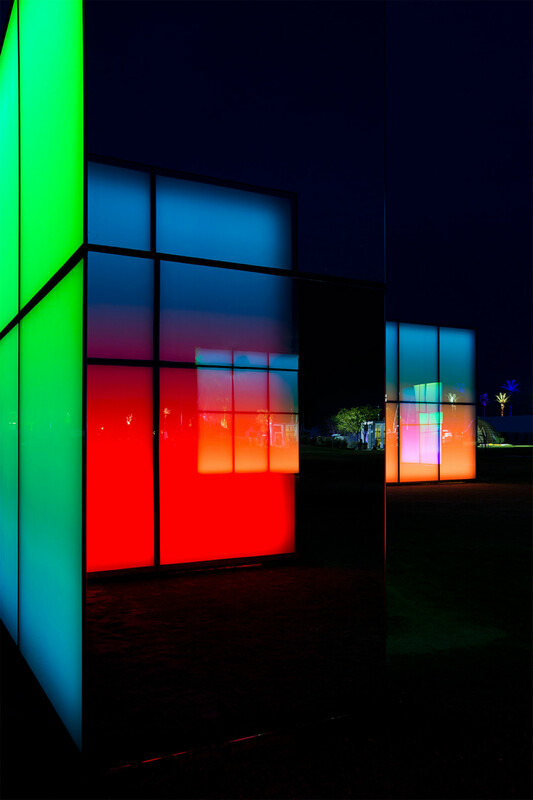 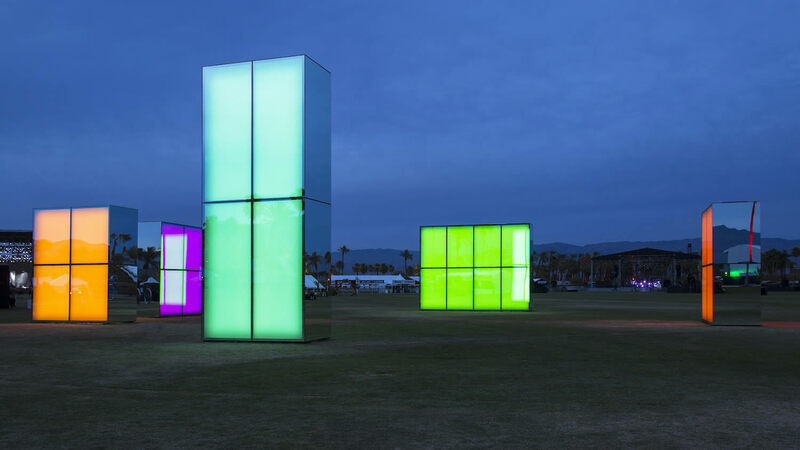 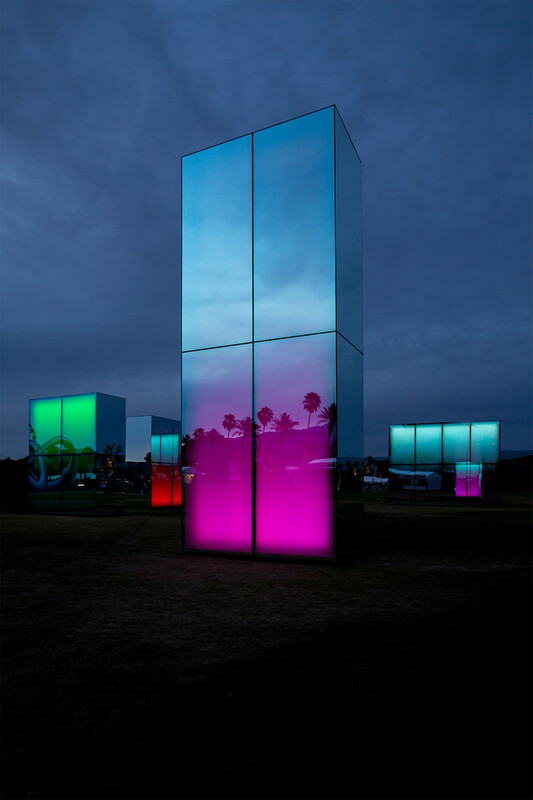 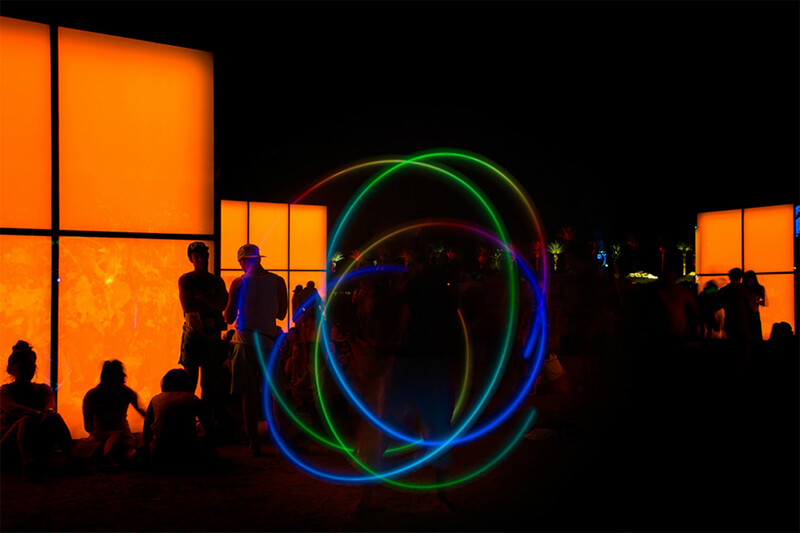 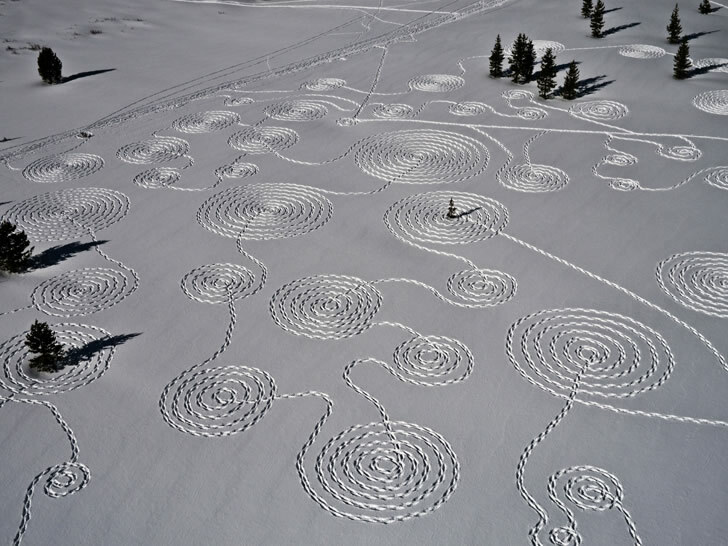 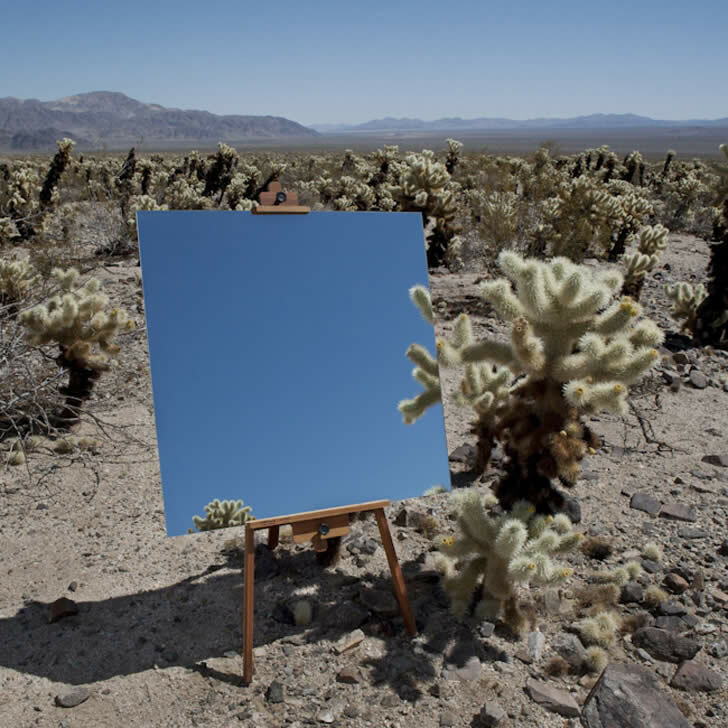 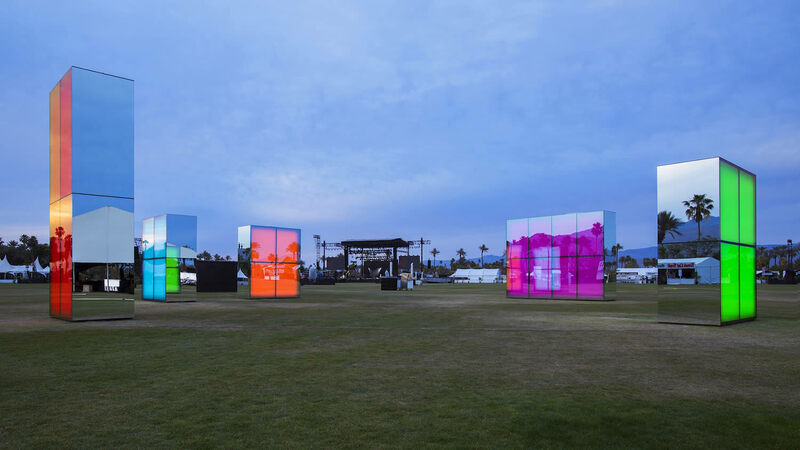 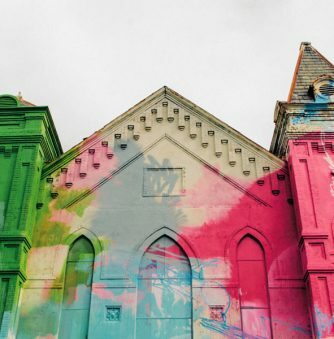 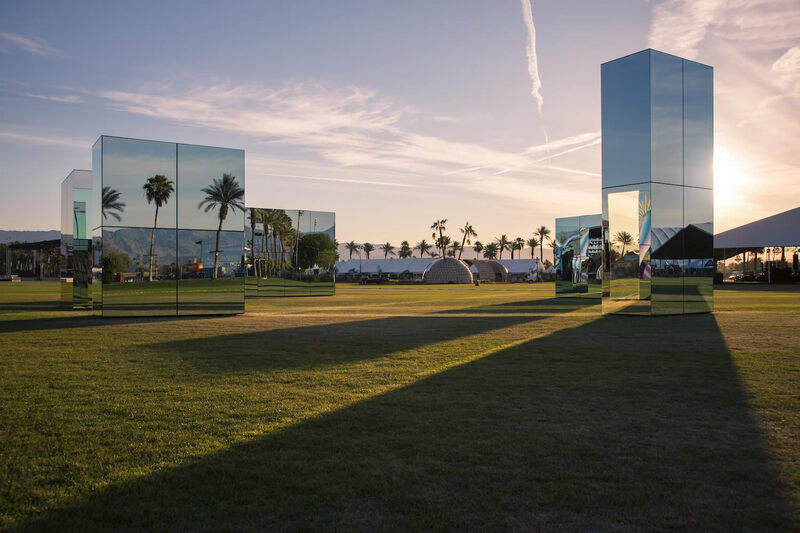 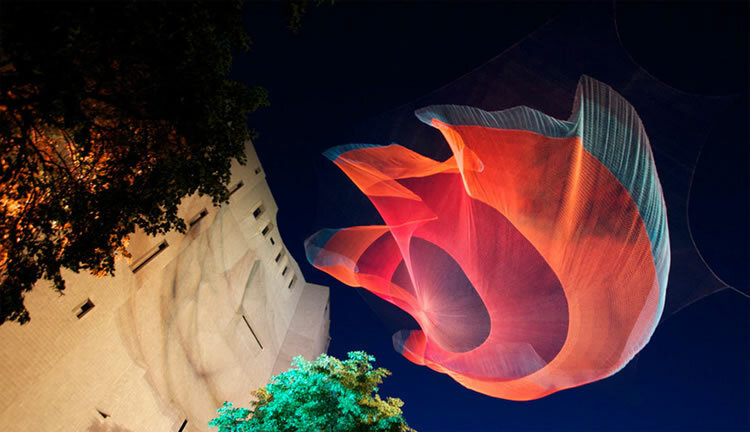 Also included in post is Smith’s latest work titled “Reflection Field,” which was displayed at the Coachella Valley Music and Arts Festival 2014. 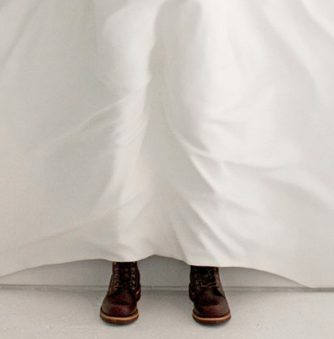 Top: Photo © Steven King. 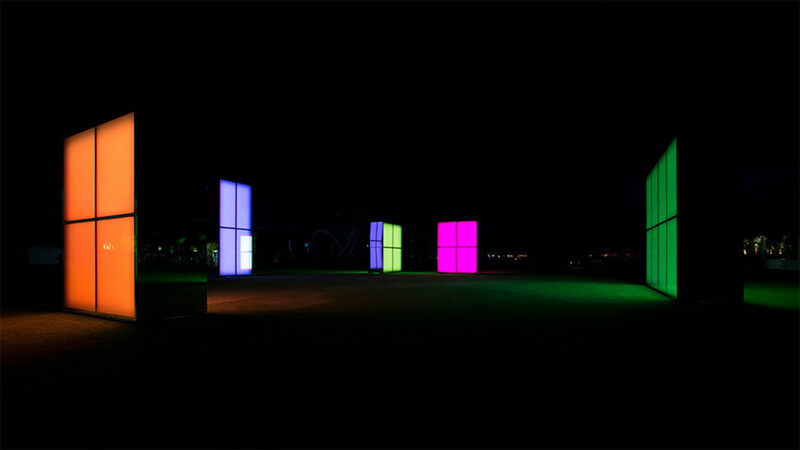 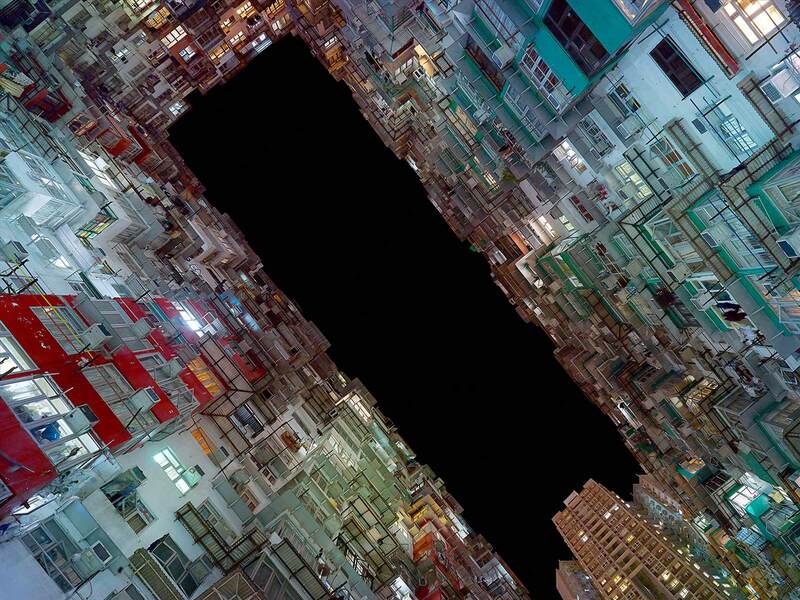 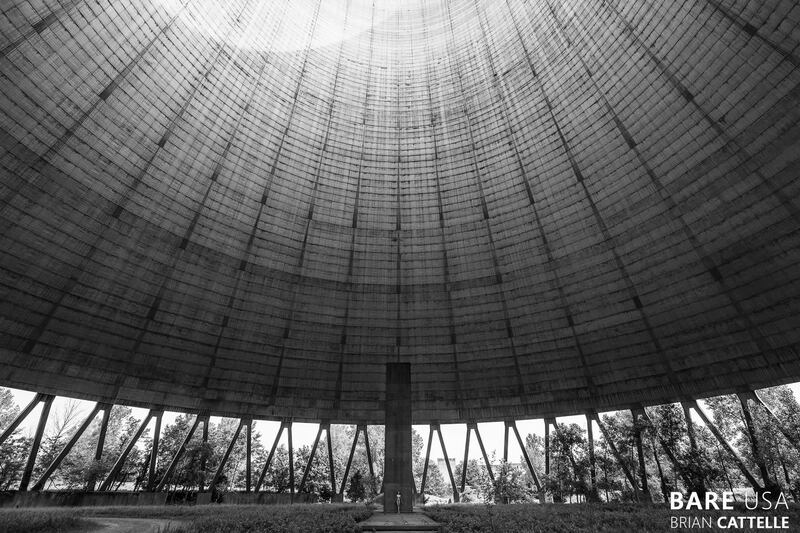 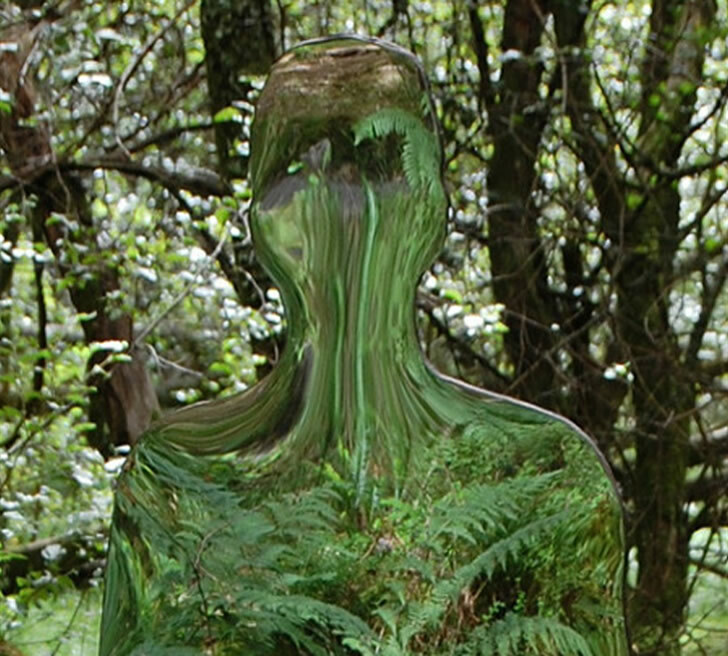 Courtesy of Royal Project: Contemporary Art. 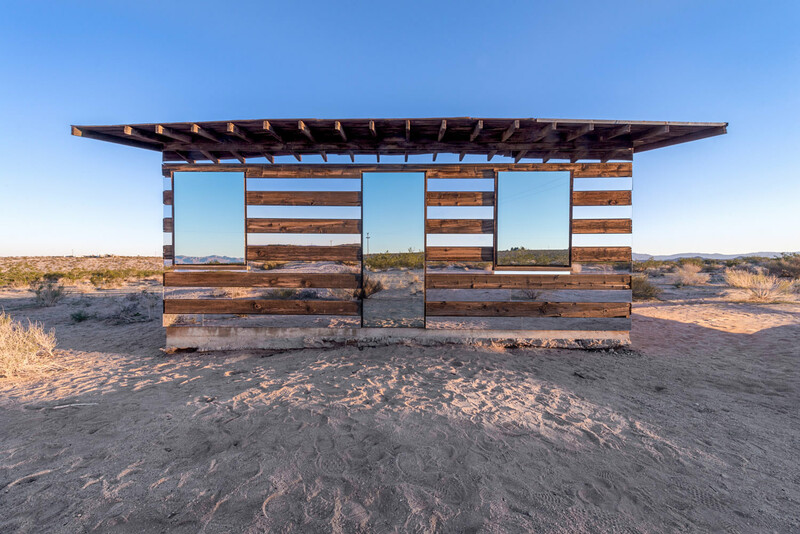 Top: A video about “Lucid Stead.” Below: “Reflection Field.” Photos by/© Lance Gerber.